Last night I was talking with a friend about the state of the business world and internet marketing. We were talking business politics. He told me about how in business school he learned about negotiating with older people in the work force and how they are often uncomfortable with the Gen Y mindset. I didn’t go to business school, but I work for a business, so it was an interesting conversation (I’ll get to how this relates to art in a minute, I promise). Let’s talk about the Gen Y mindset for a moment. What is Gen Y? Who are the Millenials? They’re the people who have grown up their whole lives with the Internet. They don’t remember having to go to a library to look something up, and they are intimately familiar with Snopes.com. They do their homework with Google and they have little patience for getting information slowly because information is readily available if you simply turn on a computer. The portals to the information superhighway were built by people under 30 and the vanguards of the current generation of businesses have yet to hit their midlife crisis. Mark Zuckerberg, the founder of Facebook (the company most likely to challenge Google for Internet supremacy) is 25. The founders of Google were 25 when they started. This attitude scares a lot of old school thinkers, so they act out of fear. The problem with acting out of fear is that most of these Baby Boomers and Gen X-ers are currently the ones in positions of power. When you are in a position of power and you act out of fear it adversely affects those around you and under you. People get hurt. The Gen Y people get hurt. When people get hurt, they last out. There’s a big tranfer of power and wealth coming in America. The Baby Boomers are sliding into retirement. What wil Gen X do when Gen Y starts moving into power and they have to listen to our ideas? Another conversation that I had last night comes to mind. I told someone that I teach artists how to make money using the internet and she said, effectively, that all artists are starving so they could never afford to pay me for my services. I called her bluff and told her that I knew, and worked with, several artists who are financially successful and that I think the Starving Artist is a myth. Those artists who know how to use the internet have a huge opportunity in front of them to grow their work and their business. She was an artist. She could have asked me about how I teach artists to make money. Instead she made an awkward comment that made everyone in the conversation go dead quiet. It was obvious, to me, that she was angry and/or afraid. To bring this full circle: Just because an idea is traditional and has been in place for a long time (the starving artist myth), that doesn’t mean it’s true or worthwhile. Just because the Baby Boomers and Gen X are in power and have built up institutions to that power doesn’t mean that Gen Y can’t do it better, faster, stronger, and more balanced. If you are an artist know this: Just because generations of artists before you have romanticized the starving artist, you don’t have to follow in their foot steps. You’ll probably make a few of them angry, but you know what? I am a baby-boomer who has been making money by selling my artwork for over a decade, and I personally have artist friends who make over 100K annually. About a year ago, I embraced social media marketing for selling artwork, and it is the best thing going for artists. It’s easier to skip the “gatekeeping” galleries if you prefer and sell on your own. Even if an artist works with galleries, he or she can promote events/shows on Twitter and Facebook and on their own blog or with an email newsletter to subscribers. 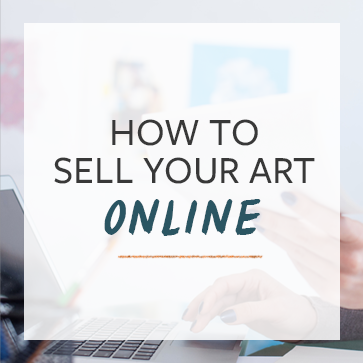 Those artists who are not already firmly established with collectors may find it impossible to get established without knowing how to use their computers. While it’s true that many art collectors aren’t social media savvy, it’s just a matter of time until they get that way. Even my parents generation is using Facebook now. Thanks Lori! I’m amazed at how when you start talking about this stuff, people start going, “Oh, yeah. I know lots of artists who are making a lot of money.” There are over 2 Million millionaires in the USA. How many do you think are artists? HD4006 – thanks for letting me know about Generation Jones. I’ll look into it. I like your post and feel very strongly about artists developing the skills to market themselves. I owned an art gallery for a short time and realized that many artists lack the marketing skill to sell their own work, regardless of generation. I always send them straight to LinkedIn, Behance Network, and Etsy to begin learning about self promotion. Did NPR/OPB do a story on your workshop for helping artists make money that was done outside of a library? With regards to Generation X and Gen Y moving into positions of power, Gen X has a very different attitude than the Boomers. We understand the work place is very fluid, developed resiliency for change, and have low expectations on being handed positions of power. The main tension that I see is not with listening to Gen Y and sharing power as we have continually adapted. Rather the main tension that I see is that Gen Y likes to combine work and social life while are more inclined to keep them separate. .-= Deadhedge´s last blog ..That’s Deep: the Anti-MBA View of the Economy =-. @deadhedge I need to see that OPB story, because a couple of people have asked me about that. It wasn’t me, so I’m curious who they interviewed. Your point about the combination of work & social life is probably the crux of the whole argument. I’ll have to explore that further. I’m a late Gen Xer, (born in 77) and while I understand where you Gen Y’s are coming from, and agree with your assessment on the starving artist syndrome being an illusion – I disagree very strongly about you guys being “stronger”, or even really faster, especially as individuals. You guys are great at the group think and using the group to get things accomplished and that of course is going to be fast because you have larger numbers, but you guys aren’t great at standing on your own and making tough decisions. Everything you have stated in this article is very elementary to me as a Gen Xer. What I appreciate you about your generation is that you are helping to further change the workforce in a way that’s going to make it less arduous and more joyful for everyone. (which BTW, we laid the groundwork for, as the generation before us laid the groundwork for Gen Xers) But the similarity you have with other generations when looking at Gen X is that you greatly underestimate us and the value we contribute – and that’s okay – getting it from both ends and not being able to depend on the “insitutional systems” (like family, marriage, or work) for support like the generation before or after us has made us VERY strong . Gen Y’s frequently tell me they are amazed at things I do alone which I consider very easy and simple to do which they seem to need to take a consensus about and become paralyzed with indecision, even about personal choices. I learn a lot about the power of the group from Gen Ys, feel less alone and appreciate how they like to give everyone attention – even if I do consider it superficial and a bit inauthentic, but I realize the importance of everyone feeling good and work needing to be more merged in with fun and life. Gen X were not supported by the systems and had to make our own way, which made them really resiliant and a bit cynical -Gen Y’s are glorified by the system and in a way very trapped and dependent on it for their identity because of this. Each way has pros and cons. 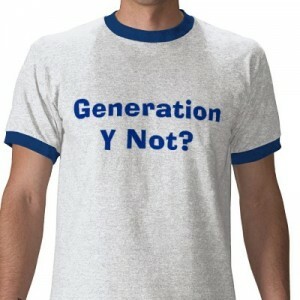 Gen X are not saints, but neither is Gen Y.. each has hangups they need to get over. I’m the first to admit we Gen Xers need to get over how “rough” we had it. I didn’t get to rely on family for my support for my life purpose, I didn’t get to use the tools of the workforce in a way that supported me as a person. I didn’t get automatic support to do the things I wanted to do financially. This made the me see the flaws in our institution and areas where they needed changed and improved. (Which has a purpose in the greater scheme of things) I had to find out who I was deep down, because I had no other choice. I had to affirm myself and believe in myself because no one else did. (except some great friends along the way). As a result, I know myself inside and out and I’m authentic, and I see through the pretense. When I get attention I know it’s usually because I am genuine, and I know the difference when someone is just trying to use me by flattering me. I have the skills and the strength I’ve built from knowing my own identity – and this I’ve garned by NOT HAVING SUPPORT helped to speed this along so I can shine through. Gen Y’s were supported by the system and had praise heaped upon you from an early age whether it was true or not – so you guys are more likely to gloss over the problem spots with your idealism thinking they will just go away and less likely to develop your individuality apart from the institutions. You Gen Y’s do have it easier with systems, and it’s easier to have a positive attitude about them intially when they *seem* to support and glorify you, but I do not envy you. You guys have had a HUGE burden of expectation unfairly placed upon you with no training, justification or preparation for it. You guys don’t get attention and praise for who you are as a person or what you have truly accomplished but for what others expected of you and wanted you to be. Playing the role of “Hero” isn’t going to feel so great in the long run when the tarnish on your crown starts to show. After awhile the adulation placed upon you will start to feel like a facade and your soul will cry out for something a little deeper and more genuine. You guys want to think of yourself as the strong ones – but When a genuine system change is needed and someone needs to take a stand you guys are afraid to make waves to upset the system because you’ve come to rely on it so much, haven’t developed your individuality apart from the system, and you’re afraid to risk losing the false adoration you receive because you fall apart without it – a toughened Gen Xer who doesn’t give a crap about that sort of thing will come along and break down the walls while everyone scorns them as being “negative” and pave the way for a new system you can follow and build upon. We need to create new systems together instead of fighting with eachother, and learn from one another. There is power in individuality and power in the group and you can’t have one without the other. So why don’t you Gen Yers stop looking down at us Gen Xers and feeling sorry for us in a way that’s secretly gloating over your perceived superiority behind our backs – and we’ll start listening to you in spite of your facades, and your innovative ideas for the group relating and accept your idealism about life as something to aspire to, and we’ll also stop pointing out that the Gen Y emperors that everyone are raving about as the stylish saviors of the human race really have no clothes on.